Elvis Presley, Carl Perkins, Jerry Lee Lewis. These names come quickly to mind when thinking of the original rockabilly greats. Besides these pioneering kings, however, there were several women who were rocking it with the boys back in the day. Coincidentally, this autumn sees new releases from the two preeminent rockabilly queens: Wanda Jackson and Janis Martin. 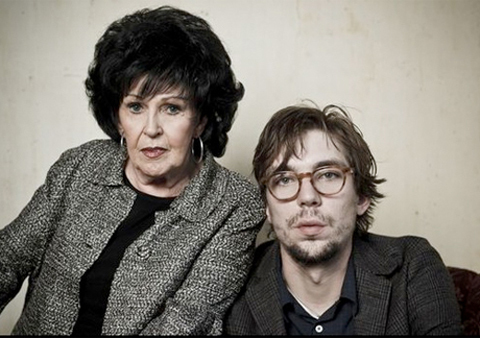 Jackson’s Justin Townes Earle-produced Unfinished Business comes out October 9 on Sugar Hill, while The Blanco Sessions represents Martin’s last recordings, which Rosie Flores produced in 2007 less than five months before Martin’s death. Of the two, Jackson is the better-known performer. From the mid-Fifties through the early Sixties, she scored a number of hit singles, like “Fujiyama Mama” and “Let’s Have A Party.” She also toured with Elvis Presley and was rumored to have dated him for him briefly. In the Seventies, she turned to religion but never fully retired from music. Jackson has experienced a major comeback in the past years, getting elected into the Rock and Roll Hall of Fame (in 2009), receiving the Americana Lifetime Achievement Award (2010) and having Jack White produce her The Party Ain’t Over CD (2011). Janis Martin also started rock ‘n’ rolling in the mid-Fifties, with her first 1956 single “Drugstore Rock ‘n Roll” probably being her biggest hit. Dubbed the “female Elvis,” she even recorded a tune “My Boy Elvis.” Despite being named Billboard’s Most Promising Female Vocalist, Martin’s music career basically ended in 1960 after she got married and became a mother while still a teen. 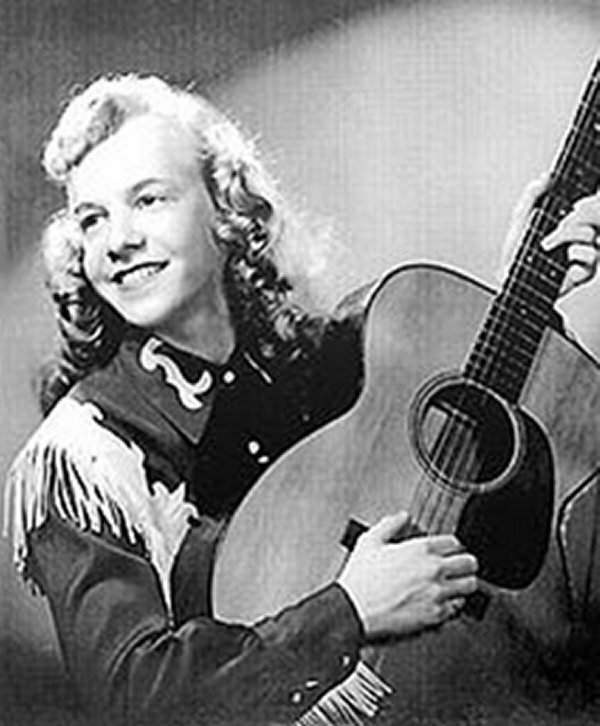 She popped back up on the rockabilly radar in the mid-Eighties when the fine German reissue label Bear Family compiled a Martin collection (her complete recordings only amounted to 30 tracks). Her profile rose higher when she appeared on Flores’ 1995 Rockabilly Filly album, which also featured a guest spot from Wanda Jackson, with whom Flores later toured. Jackson, in an email, praised Earle’s work. “We got along fabulously,” adding “Justin already had a pretty clear idea of what he thought would be good for me to record. And, I agreed with all of his choices.” Earle, meanwhile, said that Jackson and her husband/manager Wendell Goodman brought in around 20 songs that they were interested in and he tried to make sure that they didn’t play it too safe. Listening to Janis Martin’s equally as vibrant singing on The Blanco Sessions it is remarkable to consider that she was just months away from dying of lung cancer. Even though she hadn’t recorded an album in decades, Martin displays a robust voice, full of character and vitality, on what turned out sadly to be her final recording sessions. Like Earle did on Unfinished Business, Flores and her co-producer, drummer Bobby Trimble, assembled a terrific set of songs for Martin to perform. While the CD projects a rockabilly vibe, the songs range from Bill Monroe’s Walk Softly On This Heart Of Mine” to “As Long As I’m Movin’,” which was made famous by R&B icon Ruth Brown (an idol of Martin’s). The release of The Blanco Sessions (Sept. 18th), signals the long-awaited realization of a dream for Flores. Ever since hearing Martin sing in 1995 for her Rockabilly Filly album, Flores had wanted to do a whole album with her. “I was blown away by how strong her voice still was,” Flores recalled. It took Flores over a decade to finally get Martin in the studio and happily she still sang with soul and power. After Martin’s sudden death, Flores made it her mission to get the album out and it took another five years filled with label rejections before she finally is releasing the record herself thanks to a Kickstarter campaign. Although Flores has her own successful career (and a new album Working Girl’s Guitar), she is wants to continue to build Martin’s legacy and will feature Martin songs in her concerts. Flores also plans to tour some with fellow rockabilly songstress (and Martin fan) Marti Brom. “It’s going to be a blast and I can’t wait to get out there and rock with Marti in Janis’ spirit.